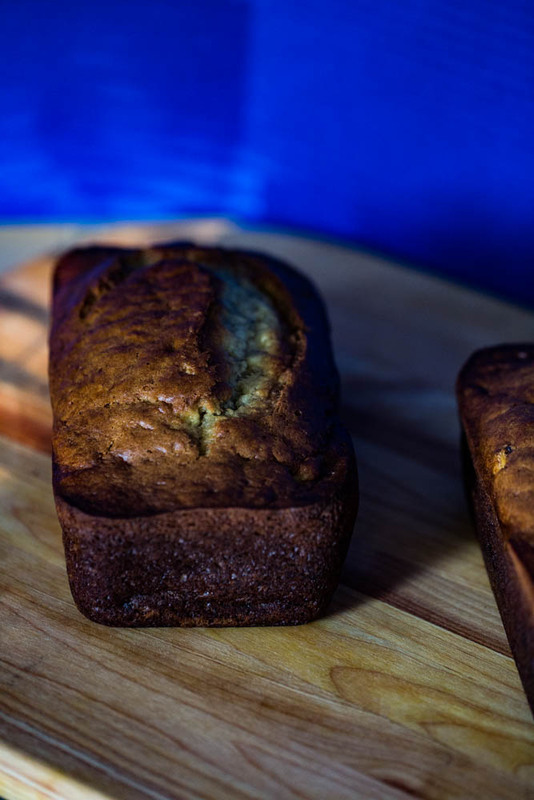 One of my favorite quick breads is banana bread. I’ve made it numerous ways over the years, changing up my recipes by substituting oil for applesauce; buttermilk with yogurt, and reducing the amounts of sugar. However, this week my newest version Super Moist Banana Bread is by far my favorite! 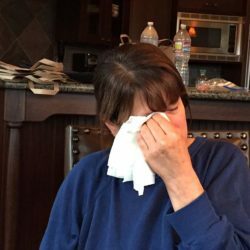 I’ll tell you why………..
Quick bread is bread that is quick to make because it doesn’t require kneading or rising time. That’s because the leavener in such a bread is usually baking powder or baking soda, which, when combined with moisture starts the rising process immediately. 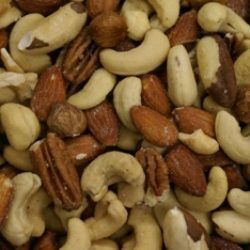 Quick breads include most biscuits, muffins, popovers and a wide variety of sweet and savory loaf breads. When invited to a holiday party, or other gathering at someone’s home, gifting homemade quick breads are quick & easy to prepare and a welcome treat for the recipients. 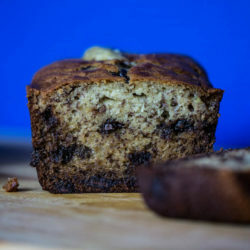 In this recipe I’ve created both a plain banana bread and a banana bread with chocolate chips. 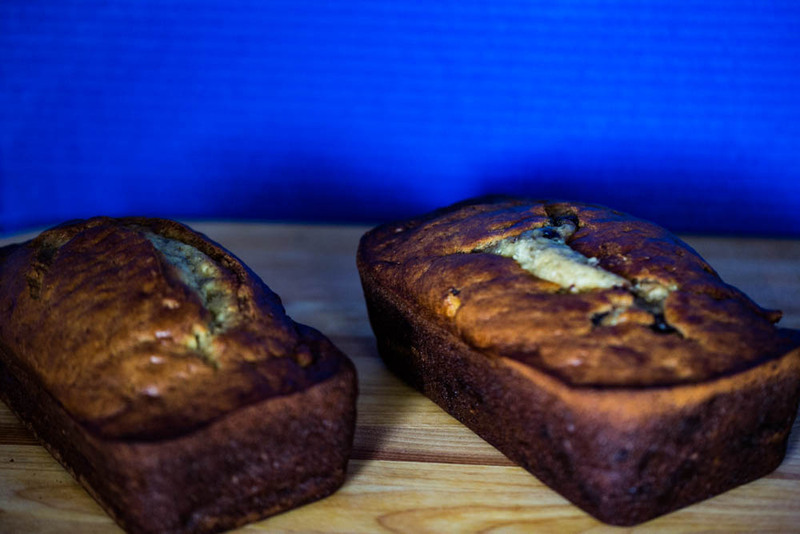 The key to flavorful Banana Bread is using overripe bananas. What’s overripe? Bananas that have sat on your counter so long that the skins have turned black. 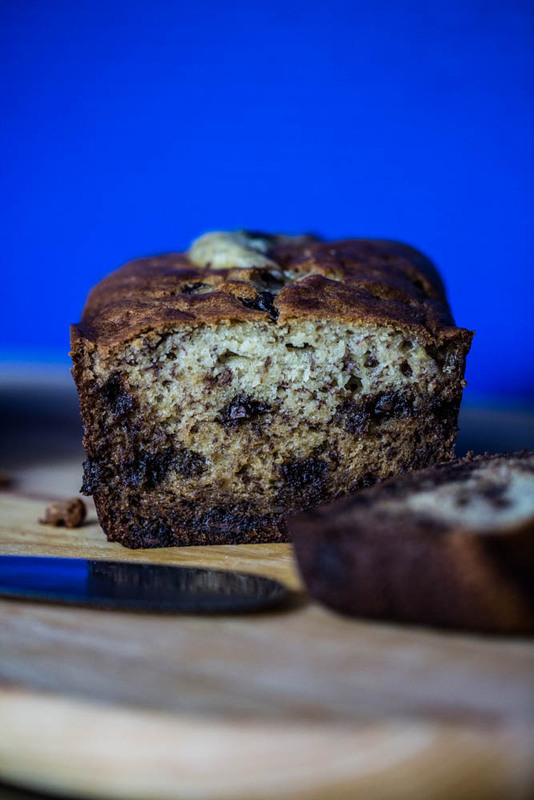 Although black bananas may sound revolting to use, they’ve developed an intense sweetness and pronounced banana flavor making them ideal for breads and cakes. I often try to reinvent recipes using healthier ingredients. In fact, oftentimes I’ll use yogurt in place of milk. 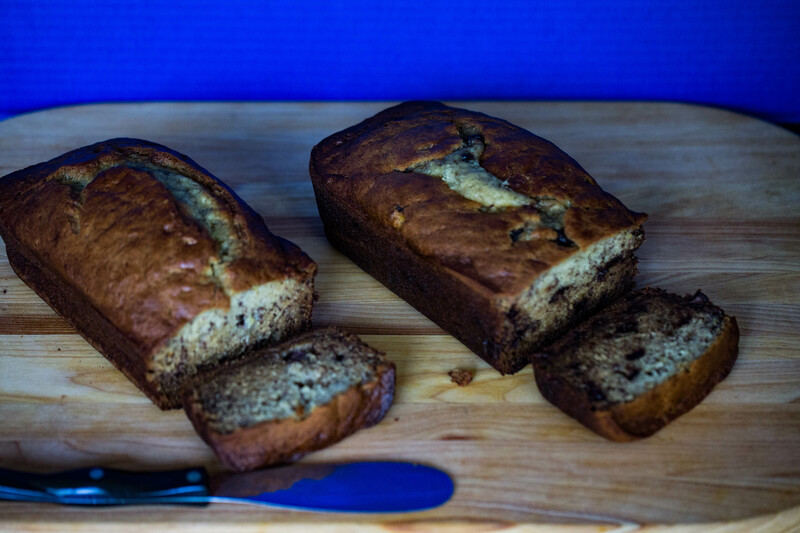 In my Super Moist Banana Bread I used Siggi Drinkable Non-Fat Filmjolk Yogurt Milk. On a recent trip to Whole Foods Market while purchasing some Siggi’s Icelandic Yogurt I noticed they carried Siggi’s Drinkable Yogurt. I asked one of the grocery clerks if they’d ever tried it, and they said they had not. He then handed me the container that he wrote a note on and told me to give it to the cashier. He said, “now you can try it and if you don’t like it, then no worries.” Wow, I was shocked that he just gave me the container but thrilled to test it. Siggi’s Drinkable Yogurt was tasty, sort of thick, but nice. So instead of using buttermilk or regular yogurt in my recipe I decided to try the Siggi’s Drinkable Yogurt. All I can say is, “WOW” my bread was so flavorful and moist. I am not being compensated for these comments on Siggi’s Yogurt nor do they even know I’m writing about their product in this post. Siggi’s has become my new favorite yogurt. While not everyone may like it since it is relatively thick, I love it! My son likes it, my daughter said it’s too thick, and my husband hasn’t tried it. So there you go! 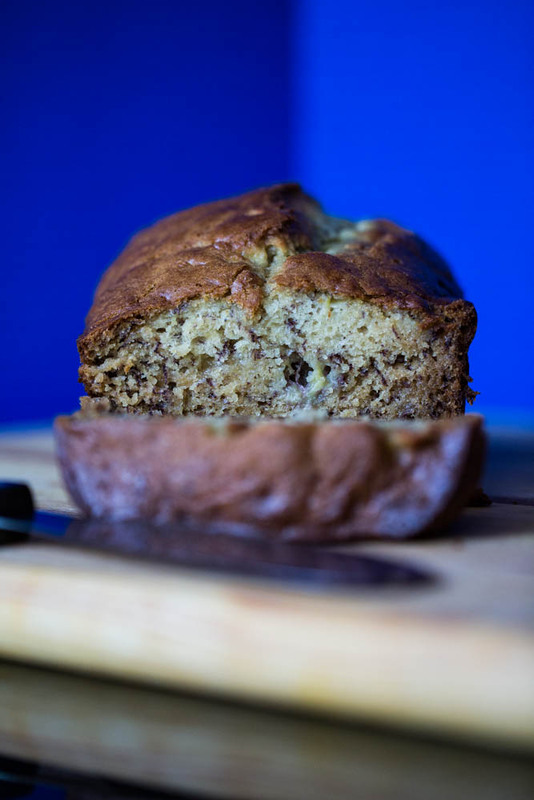 If you like banana bread then I know you’ll love my Super Moist Banana Bread. 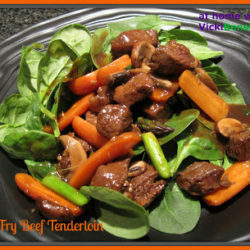 If you try my recipe below please come back and share your thoughts in the comments section. 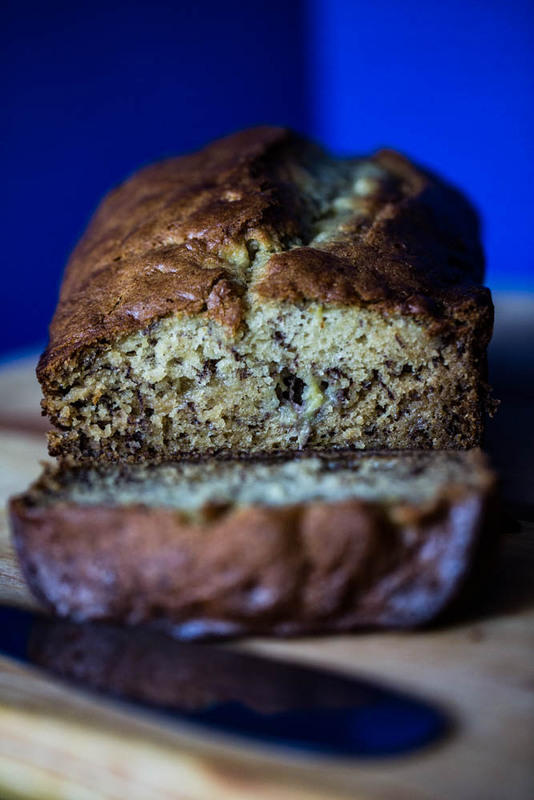 If you're a fan of Banana Bread you'll love my Super Moist Banana Bread with or without chocolate chips. Cream oil and sugar; add eggs and salt and mix well. Add flour, soda and yogurt and mix well. Add bananas blending well into the mixture. Note: At this time if you wanted to add chocolate chips sprinkle them with flour over a fine mesh sieve, then add to batter, blending well. Tip: The flour allows the chips to float within the batter rather than set on the bottom. 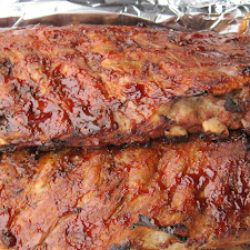 Pour mixture into pan and bake in a preheated 350F degree oven for approximately 45 minutes to 1 hour. When the bread pulls away from the sides of the pan and toothpick comes out clean, the bread is done. If top of bread starts getting too brown place foil over top. Note: If you want to use a flavored drinkable yogurt you can. The best part about cooking yourself is that you can modify a recipe anyway you like. 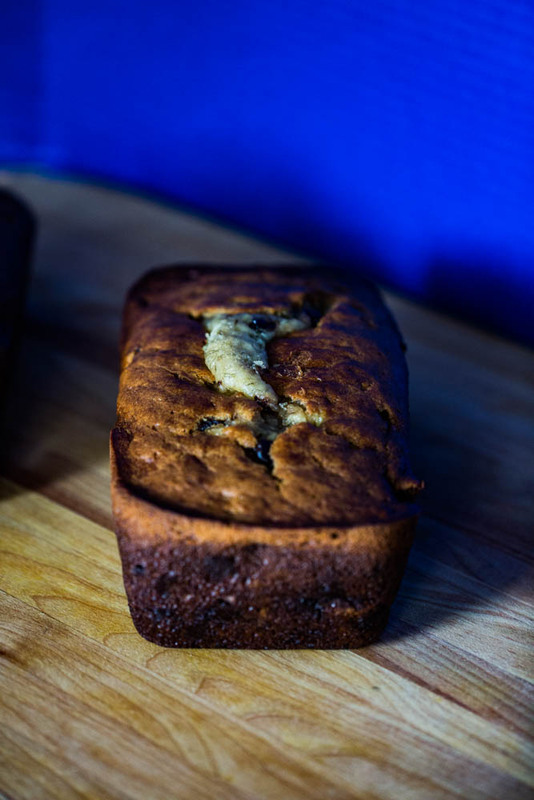 Nothing better for a morning treat than a thick slice of banana bread smeared in butter. Your super moist bread would be perfect. Have a great weekend, Vicki! You can never have too many banana bread recipes! Your banana bread looks really tender, moist and divine!